Is there a better alternative to XBox 360 Controller Driver? Is XBox 360 Controller Driver really the best app in Gaming Tools and Utilities category? 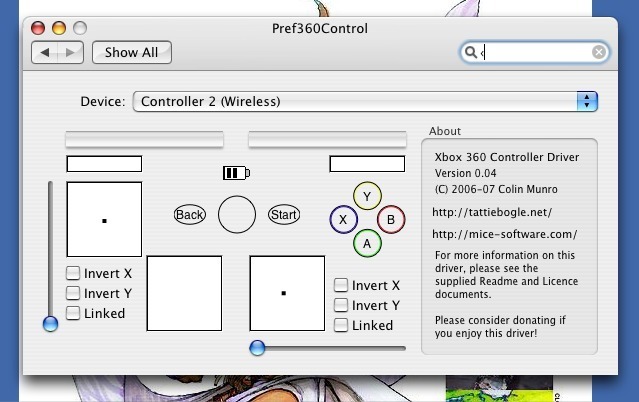 Will XBox 360 Controller Driver work good on macOS 10.13.4? XBox 360 Controller Driver allows you to use wired XBox 360 Controllers via USB, and wireless XBox 360 Controllers via the Microsoft Wireless Gaming Receiver for Windows, on your OS X machine, including support for the Apple Force Feedback library. The driver is licenced under the GPL. There are a couple new devices added in this release, along with a new Chinese localization.